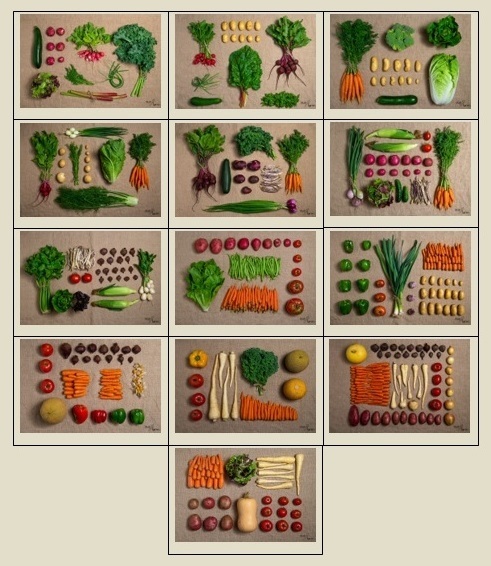 How does our CSA (Community Shared Agriculture) work? Our CSA is a subscription that you order once, and then we supply you weekly with a box of peak of the season variety of certified organic veggies over the summer and fall. Who is a CSA right for? If you like surprises, it may be right for you. A comment we often get is, "It's just like Christmas every week when I get my veggie share - I don't know what I may be getting and it's so exciting to open it up.” Are you interested in trying veggies you have not eaten before? Then it may be right for you. Another comment we often get from our subscribers is that they like when they get veggies they would not venture to buy, but once they get them in their share, they have their palate stretched in great ways. Are you wanting to just eat more veggies in your diet? Then our CSA may be for you. Many subscribers sign up so they can always have a supply of tasty organic veggies on hand so their diet will be more plant strong and healthier. So, if you don't like surprises, and don't want to try veggies you would normally not buy, we recommend shopping at Our Farm Saturday markets, where you can pick and choose your selections. But if you resonate with what the CSA offers, this may be for you! Our Farm has Organic Certification - Certified by Pro-Cert Organic Systems. We went through this multi-year process of inspections, production plans, records and tests so that you can rest assured that our veggies we grow for you are grown organically. 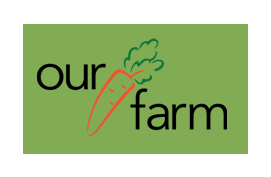 We want you to be confident that our veggies are healthy and safe and comply the Canada Organic Regime. Our CSA for 2019 will run from the first week of July to the third week of October. As many people end up being away on holidays over the summer period, your CSA subscription fee covers 13 weeks of veggies, so out of this 16-week period you can let us know which 3 vacation weeks not to pack a box for you. We need notice the week before the CSA day that you want a hold for. (If you will not be away over the summer/fall and would like to get veggies all 16 weeks, you can pay for the extra weeks – just let us know and we will do the adjustment for your subscription). It is like having your own garden without the work and veggies showing up fresh picked and in season! Each year the weather is better for some crops and worse for others. The quantity of each type of veggie you receive will vary according to that...the ones that the weather is loving, you will get more of, and the ones the weather is not loving, you will get less of. And on occasion, certain crops will not produce at all in a given year, so we cannot include them – but we will adjust the quantity of other veggies so you still get full value in your box over the course of the season. Our pricing is based on the values of all you will receive over the 13 weeks. In case of a catastrophic crop failures of our entire farm (complete hail out for example) and we are unable to supply your CSA subscription for the rest of the season, we will refund the balance of your unused subscription. For 2019 we are offering 3 different share sizes.A ½ share, a ¾ share and a full share. a full share is $53.00/week ($689.00 total). When you do the CSA sign-up, we require a minimum $50.00 deposit to hold your CSA Share, with the balance due May 1st, 2019. In the ¾ share and full share (the portion above the ½ share) sometimes there will be different items from the items that were in the ½ share and sometimes there may be extra of the same items. As always, we have a limited amount of subscriptions that we can grow enough to fill. We have (Sorry, Tuesdays fully subscribed) 35, 25,1 share available for Tuesday pickup/delivery and 35,28, 20,15,13,12 shares available for Thursday pickup/delivery. Sign up today to secure your subscription. To go to the CSA sign up page, please click here.